On the request of our loyal customers to increase our offering in the Medical field, we also cater with world renowned products in these categories. We will continue to identify and get to Kuwait, key products that will enhance the medical services being provided by our clients. Carestream Health is a dynamic global company with over 100 years of leadership. We are committed to ensuring your success and exceeding your expectations by providing the absolute best customer experience. DERMEO has built a strong and solid team of professionals combining many years of experience to allow innovative technological advances. Through continued investment in research, development and manufacturing, its features are designed for practitioners of medicine and aesthetics in over 60 countries. 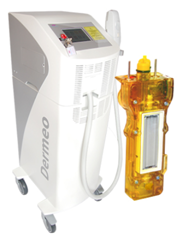 The MDFLASH4 system is for aesthetic and dermatological treatments. It allows you to treat acne, pigmented and vascular lesions and to practice hair removal and skin rejuvenation, where the power must be combined with expertise and diagnostics. Offering a maximum power of 40J/cm², it is the only French device which carries the prestigious CE medical label for the class IIb. The CAVIFAST 2 device emits low frequency ultrasounds (38 kHz +/-2 kHz) which are diffused by two handheld transducers.CAVIFAST 2 allows the treatment of excess localised fat and reduces the built-up layers thanks to the indicate transducer : the concave allows you to work on small areas and treat fibrous cellulite (the skin looks odd when the person is standing up. 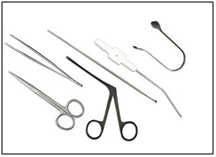 The aim of DTR Medical was to establish a successful medical device and manufacture own branded sterile disposable products for use in selected surgical specialities. The mission of DTR Medical is to provide high quality single-use sterile products that deliver clinical value combined with exceptional levels of service. Sterile Single-use Nasal Plastics Procedure Pack – custom packed to suit procedure. Convenient and easy to use. It contains matt black crocodile forceps, thudichum nasal specula, jobson horneprobe, kilnerscissors, adsonnon-toothed forcep and zoellnersuction handle. Breeze nasal airway splint – funnel shaped airway enhances patient comfort. Unique airway geometry creates pressure gradient increasing airflow by 50%. Easier breathing and minimises blockage. Easy to insert and remove. Suture indicators on anterior tip aids suture placement. CHINESPORT is a leading company, specialized in a wide range of rehabilitation equipment and assistive devices.The organization has been working with a certified quality system management in compliance to the international standards ISO 9001 and ISO 13485 since 1998. The product quality is guaranteed by the CE mark. Physiotherapy and massage couches for professional physiotherapy, massage, examination and treatment. These couches have an electrical height adjustment, a strong wood or metal structure, and are recommended for various purposes. The electrical couches are used for professional treatment and therapy couches, suitable for bath therapy. 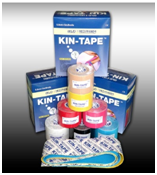 KIN-Tape – the elastic tape bandages are particularly used in highperformancelike sports, sports medicine, orthopedics, gynecology, back-, joint- and conservative therapy. The KIN-Tape consists of a longitudinally elastic cotton fabric or Nylon with a special hypoallergenic adhesive on the back, which is applied in sinus waves. The material is air and water repellant, latex free and suitablefor sensitive skin.